Vitamins are one of the two groups of substances classified as micronutrients (the other is minerals) that are essential in human nutrition. Vitamins are organic, meaning they contain the element carbon and are found in plant and animal substances in small amounts. We obtain them by eating the plants and animals that make them. Most vitamins cannot be manufactured in our body; exceptions are some of the B Vitamins, which can be made by our intestinal bacteria, and occasional biochemical conversions from a precursor to the active form of the required vitamin, as when beta-carotene is converted to vitamin A. Vitamins help convert carbohydrates, proteins & fats to more bioavailable or metabolically useful forms. Vitamins function principally as coenzymes (in collaboration to enzymes) for a variety of metabolic reactions and biochemical mechanisms within our many bodily systems. Each enzyme is specific to one biochemical reaction. Enzymes are catalysts, they speed up specific chemical reactions that would proceed very slowly, if at all, without them. We cannot live on vitamins alone but need specific foods that provides energy and helps from the actual tissues of our body. 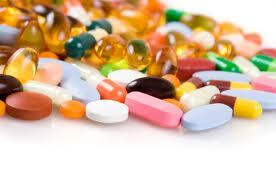 In fact, we need food and certain minerals to best absorb any vitamin supplements we take. Vitamins are essential for growth, vitality, and health and are helpful in digestion, elimination and resistance to disease. Depletions or deficiencies to specific vitamins can lead to a variety of both specific nutritional disorders and general health problems, according to what vitamin in lacking in the diet.